Around 2010, three Indians were exploring how they could teach computers to process human language. Around 2010, three Indians were exploring how they could teach computers to process human language. 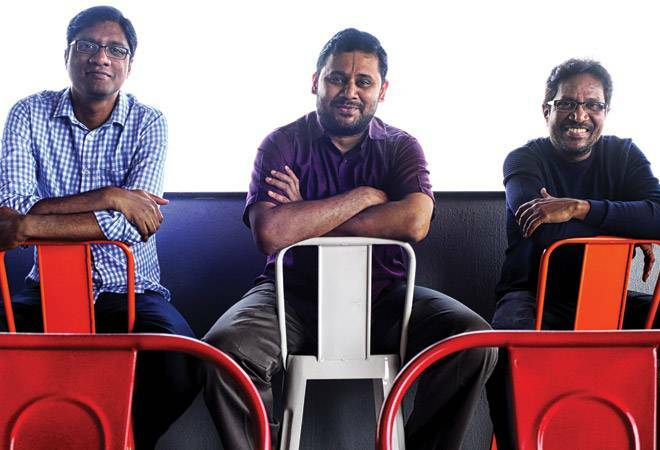 Shridhar Marri, Ritesh Radhakrishnan and Krishna Kadiri set up Senseforth, experimented with different use cases and by 2014/15, developed a human-like conversation platform. The trio had adequate technical and managerial experience to accomplish the feat, having worked for Infosys before. The aim is to automate repetitive conversations between banks and customers or organisations and their employees to make customer service and communications easy and efficient. The company develops intelligent business bots, powered by artificial intelligence. It runs a bot store that features more than 12 special purpose bots, ranging from those that can chat like humans to more sophisticated systems that provide wealth advice. The most successful creation is an AI chatbot called EVA, developed for HDFC Bank. EVA chats with customers to provide product information and has answered 5.5 million queries since its launch in March 2017. The bank projected that the bot could do the work of 350-700 people initially, the co-founders say. The start-up caters to niche customers across verticals, including HDFC Bank, HDFC Life, Nomura, ICICI Bank and Manipal Hospitals, among others. Senseforth has built its proprietary natural language processing engine, which makes the bots enterprise-grade. Other companies mostly use publicly available engines.